Knowing the best way to prep can save you a ton of time (and money). If you are one of those lucky few who can just make themselves sit down and study every day for weeks on end, that might—might—get you a good score on the GRE. Or it might not. There are so many variables. For example, how can you know which of the huge number of GRE prep books out there is best? Even with a good book, how do you know what to study and how much time to spend on it? Do you really need to know how to do prime factorization or permutations? How much vocab should you memorize? Is your book’s GRE vocabulary list even a good one? How can you know what’s a waste of time and what will actually pay off? 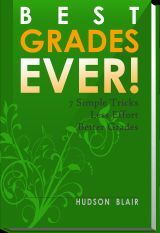 You need an expert—a guide—someone who knows the GRE inside out; someone who can show you exactly what you need to know and how to master it; someone who knows all the tricks and shortcuts and little pitfalls that screw up otherwise excellent students. You need a really good GRE teacher. A good GRE prep course can raise your score an average of 13 points. That’s the difference between getting scholarships to go to a good grad school or squeaking into an average grad school. A top-notch GRE prep instructor can tell you where to spend your time prepping (and where not to bother). He or she can also tell you how grad schools use—and don’t use—your scores. That’s important. In the class I teach (consider that full disclosure) we spend time on the three GRE sections; on how schools look at your scores; and on other really-important but often overlooked factors such as test layout, the testing center, learning vocabulary, and test anxiety. So what about prepping for. . . In the quantitative section of the GRE there is a lot of very specific material to cover (prime factoring, quadratic expressions, area of a circle segment, permutations, factorials, geometric progressions, and more). Good news! You’ve seen most of it before. Bad news; prime factoring in sixth grade was a loooong time ago. You probably know—or, at least, used to know—how to do the majority of the math you’ll see on the GRE. But you’ll need to do a lot of refreshing. I spend about 40% of my prep class on going over the GRE math. My goal is to show you exactly what you are most likely to see on the GRE quantitative. We don’t waste any time looking at what’s NOT on the GRE. Unfortunately, many test prep companies and GRE books have whole sections devoted to things that aren’t actually on the test. I also want to help you identify your weak points; the concepts you most need to practice. I (and most other GRE prep courses) will show you how to use the structure of the test questions to max out your GRE score. You’ll find out how to identify the answer that is most probably correct even when you don’t know how to do the problem. That translates to BIG GRE score increases. The GRE verbal section is pretty straightforward. I spend 25% of class time on that section. Learning all the helpful techniques for each type of verbal problem (text completions, reading comprehension passages, and text equivalences) is pretty fast. That will give you an instant increase in your GRE verbal score. But, learning new GRE vocabulary is THE most important thing for boosting your GRE verbal score. That takes time. Learn at least 300 new GRE vocabulary words. That many will give you a decent chance of seeing enough of those words on your GRE to increase your score. But 300 is really the bare minimum. More is better. Since it’s so important, you’d think the big expensive courses would tell students what words to study. They do. Unfortunately, that’s where many of them stop. I had a student not too long ago who was taking my course right after she had finished a full $1,400 course from one of the big name companies. I asked her what they told her about studying vocabulary. They didn’t even work on the vocab in her 40-hour class! Good courses do not do that. There are many techniques that can make learning that vocabulary much faster and easier. In my course, I give a step-by-step formula for memorizing GRE vocabulary. It makes memorizing fast and efficient. Knowing these techniques can cut GRE vocabulary learning time by thirty percent or more. That adds up to a LOT of time! Better yet, the techniques aren’t limited to memorizing GRE vocab. You can use them in any subject that requires memorization (biochemistry, anatomy, history, business, you name it). You’ll start your GRE writing two essays. This is the GRE written analytical section, and you may not need to prep for it at all. Many grad schools don’t even look at it! I spend about 15% of class time on the written analytical portion of the GRE. I also save it until the very end of the class so students who don’t need it don’t have to sit through it. For those who do need it, writing five to ten practice essays usually gives students a good time-to-payoff ratio. Students who really need to raise their GRE analytical writing scores may want more help outside of class and continued practice over months. I offer that help and practice (for free) for those who want it. Most test prep companies offer extra help as well, although such help can be pricey. I don’t know of any research to show exactly how much a GRE prep class can increase your GRE written analytical scores. But, the techniques you’ll learn can make a BIG difference in your writing score. The difference in my students’ before and after essays is obvious. We usually spend 20% of our class time on how to hack the test. We look at. . .
Are those topics really worth your time? My experience is that this can be one of the most valuable sections of a prep course for many students. Take test anxiety, for example. Most test prep courses don’t address test anxiety issues at all. They should! For 15 to 20% of students, this is a major issue. The twenty or thirty minutes we spend in my classes on learning to control test anxiety, combined with practicing the techniques after the course, can make a 3 to 10(!) point difference in some students’ scores. Combine that with the huge gains many students see when they learn to manage their time on the test, and the importance of this part of test preparation is undeniable. If you are diligent about studying, even when the test is still months off, you’ll hugely benefit from starting way early! Think about it. Learning 1000 new words over three years works out to less than one new word per day. But if you only have three months you’ll need to learn more than ten per day! 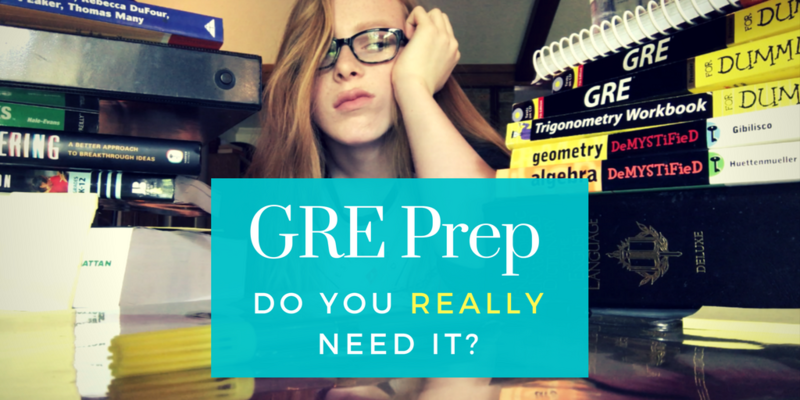 Most students will only spend about a month prepping for the GRE. That’s all most of my students do, and again, I see average gains of around 13 points. The main objection many students have to taking a GRE test prep course is the cost. Understandable. I mean, $1,200? Seriously? There are less expensive alternatives. My course is $395—still a big investment for most college students, I know. When students consider the potential return on their investment, even expensive courses make sense. Just think about how much you’ll spend on college over the course of four (or five, or six) years. Yet in some cases, this one test can have MORE impact on getting into grad school than your entire undergraduate GPA! Which GRE Prep Course Should I Take? Even at $1,200 and 40 hours of your time, a GRE prep class can be worth it. The payoff can far outweigh the cost, but choose your prep course carefully. 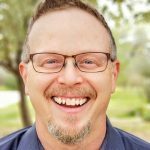 While most courses teach exactly the same techniques (more on that in a minute) there may be some key areas they don’t address. If test anxiety is a problem for you, make sure that they will be covering that area. If learning a thousand new vocabulary words sounds impossible, make sure they will be doing more than just giving you a big long list of words. Do you struggle with some key math technique that they only mentioned in passing? Make sure you can get help outside of class if you need it. You should also consider the instructor teaching the course. Getting some part-timer who’s teaching the course for the next six months while they finish up their masters can make for a very boring (and much less helpful) classroom experience. Finally, neither course length nor expense should be the main criteria by which you judge a course. Most GRE prep courses teach pretty much the same basic techniques with different names! I’ve been teaching GRE Prep since 2000, and in that time I’ve been through the majority of the other test prep books several times over. Rarely do I find ANY new techniques. So the difference between a $1200 course and a $400 course is often NOT in the techniques they are teaching. Time is not really a key distinguishing factor between GRE test prep courses either. Many companies will tell you their course is 20 or even 40 hours long! It sounds like you are getting more for your money, but actual instruction time may only vary by an hour or two. So what are you doing during all that extra time? You’re taking practice tests or doing worksheets (that you could easily do on your own for free). Or you’re spending hours practicing stuff that will give almost no real payoff. DO look at how much they charge for extra help outside of class. Many companies charge as much as $80 an hour for extra one-on-one attention outside of class. Others charge nothing! GRE test prep courses can be hugely helpful for many, if not most, students. They can help you know exactly how and where to spend your time in order to see really significant gains in your GRE scores. They can also show you where NOT to waste your time. It can save loads of time knowing what isn’t tested or which areas are not worth working on. Sure, the courses can be expensive and time consuming, but their potential payoff far outweighs their cost. BUT choose carefully. Not all GRE prep courses are created equal. You can spend $1200 for a very mediocre test prep and miss out on an excellent prep course that is half the price.